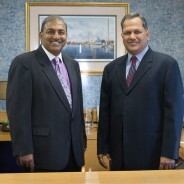 Founded in 1993 with the original aim of simply turning around local small to mid-size businesses that were losing money, Sareen and Associates quickly grew into a firm that offers tax, accounting, payroll and business consulting to clients in a significant part of the East Coast of the United States. We now have approximately 60 employees working at five offices. Sareen and Associates wishes to be a highly-valued premier business resource to small and mid-size businesses in the areas of tax, accounting, payroll and business consulting. We are here to help you survive the occasional crisis, and we are here to help you thrive on a long-term basis. We are experts at what we do, and that allows you to do what you know how to do best – take care of your customers and grow your business. Just like you, we are in this for the long haul and we service every client with that in mind every day. We do things on a monthly basis, so the paperwork doesn’t pile up and you won’t get behind. Ever.